Please type your desired tags, e.g. Security, Microbiology, Development, MRI, Pathobiology, Medicinal, Systems Engineering, Medical Rhetoric, Curriculum Development, Asian Studies, Culture, Southern Literature, Trope of monstrosity in literature and film, Texas History, Continental Philosophy, and etc. 2018–2018	Lecturer in the Third European Congress of Latin American Scholars, Netherlands Association for Latin American and Caribbean Studies, July 2002, Amsterdam, The Netherlands. 2018–2018	Lecturer in the 2000 meeting of the Latin American Studies Association, March, 2000, Miami, Florida, USA. 2018–2018	Lecturer in the Symposium of Mexican Political Action Abroad, September 2001, Dallas, Texas, USA. 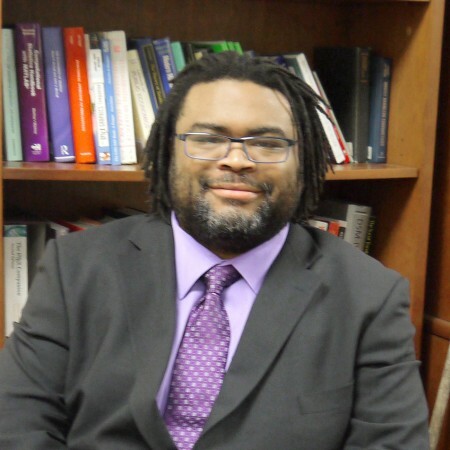 Rodney Andrews, a Harvard University Robert Wood Johnson Foundation Scholar, is an assistant professor of economics in the School of Economic, Political and Policy Sciences and director of the Texas Schools Project. Furthermore, Dr. Andrews’ has also completed research focusing on the college application process and how it is impacted by financial assistance in “The Effects of the Kalamazoo Promise on College Choice” and “Estimating the Responsiveness of College Applications to the Likelihood of Acceptance and Financial Assistance: Evidence from Texas,” both that have been published in the Economics of Education Review. Dr. Andrews received his PhD in Economics from the University of Michigan. Dr. Rodney Andrews, director of the Texas Schools Project at The University of Texas at Dallas, has been named a member of the second cohort of Greater Texas Foundation Faculty Fellows. The three-year program builds research and teaching abilities of Texas college tenure-track faculty working in areas related to student success. Andrews will receive more than $81,000 over three years to support his research project, “The Effects of Targeted Recruitment Programs Implemented by Texas’ Flagship Universities.” Fellows also gain access to professional development opportunities and guidance related to their intended career trajectories. The Texas Schools Project recently received two grants from state agencies for research using data from the UT Dallas Education Research Center (ERC). Texas Schools Project director Dr. Rodney Andrews says “everybody has had an exceptional teacher, so we know that teachers matter.” But empirically proving the effects teachers have on their students is more complex. Researchers at the Texas Schools Project (TSP), which moved to UT Dallas in 1997, were among the first to publish research on teacher quality, Andrews said. With a $1.475 million grant from the U.S. Department of Education, the TSP is exploring other elements of K-12 education. Researchers from six universities across the country recently were approved for new projects using data from the UT Dallas Education Research Center (UTD-ERC). The center’s joint advisory board accepted the four research projects, which focus on Texas students, teachers and schools, on Dec. 9. Dr. Rodney Andrews, senior researcher and director of the Texas Schools Project, which houses the UTD-ERC, said the center aims to answer policy-relevant questions by using empirical methods and detailed data. “According to the feedback from the Texas Higher Education Coordinating Board and members of the advisory board, these [new endeavors] are the sorts of projects that could prove to be informative in regards to educational policy in the state of Texas, and certainly, nationally,” said Andrews, who also is an assistant professor of economics in the School of Economic, Political and Policy Sciences.